Beverley Holden Johns brings her 35 years of experience working with students with learning disabilities (LD) and/or behavioral disorders (EBD) within the public schools to her current post as learning and behavior consultant and an adjunct instructor for MacMurray College, where she teaches the course on special education law, adaptations for the general education classroom, and EBD. Johns is the lead author of ten books (and co-author of another) including Reduction of School Violence: Alternatives to Suspension, Techniques for Managing Verbally and Physically Aggressive Students, Surviving Internal Politics Within the School, Safe Schools, Teacher’s Reflective Calendar and Planning Journal, Effective Curriculum and Instruction for Students with Emotional/Behavioral Disorders, Students with Disabilities and General Education: A Desktop Reference for School Personnel, Getting Behavioral Interventions Right, Preparing Test-Resistant Students for Assessments: A Staff Training Guide, The Ethical Educator, and Motivating the Unmotivated Student. She has written a workbook to accompany a video for paraprofessionals entitled The Paraprofessional’s Guide to Managing Student Behavior and over 40 articles. She is co-author with Janet Lerner of the seminal college LD textbook, the 11th edition of Learning Disabilities and Related Mild Disabilities, and they are currently working on a college textbook on Students with Special Needs in General Education: Practical Adaptations and Teaching Strategies. 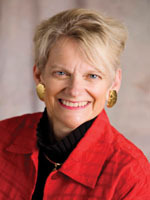 She is the 2000 recipient of the CEC Outstanding Leadership Award from the International Council for Exceptional Children, Past International President (and current board member) of the Council for Children with Behavioral Disorders, and the 2007 Recipient of the Romaine P. Mackie Leadership Service Award. Johns is listed in Who’s Who in America, Who’s Who of American Women, Who’s Who in American Education and Who’s Who Among America’s Teachers.